Millions of Americans spend 40+ hours in an office each week. Don't let your office space become a paradise for germs and bacteria. With a professional cleaning cleaning from Regal, your staff will be safe from harmful germs and allergens, decreasing time out of the office and increasing productivity. Our IIRC certified staff is expertly trained to safely clean commercial fabrics, preventing undue stress and wear. 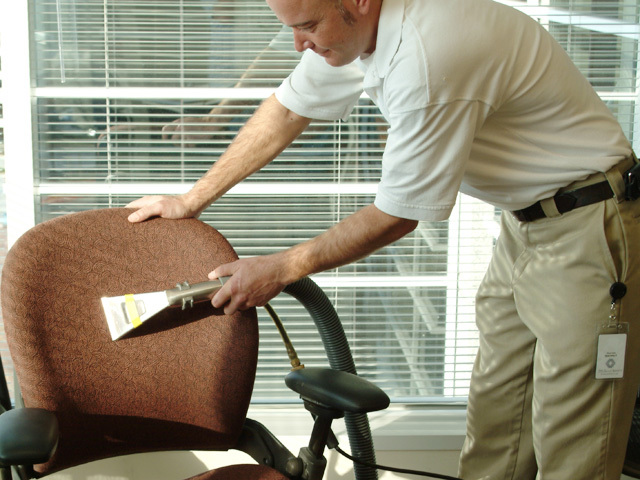 You'll spend less on cleaning services by protecting your workplace upholstery, fabric panels and carpet to extend the life of your office. It's not just about chairs. Many companies don’t view their walls as an area that requires cleaning, but these areas can be just as dirty as the floors. We use specialized products to safely clean and restore all fabric to eliminate germs and allergens and improve the appearance of your office space.